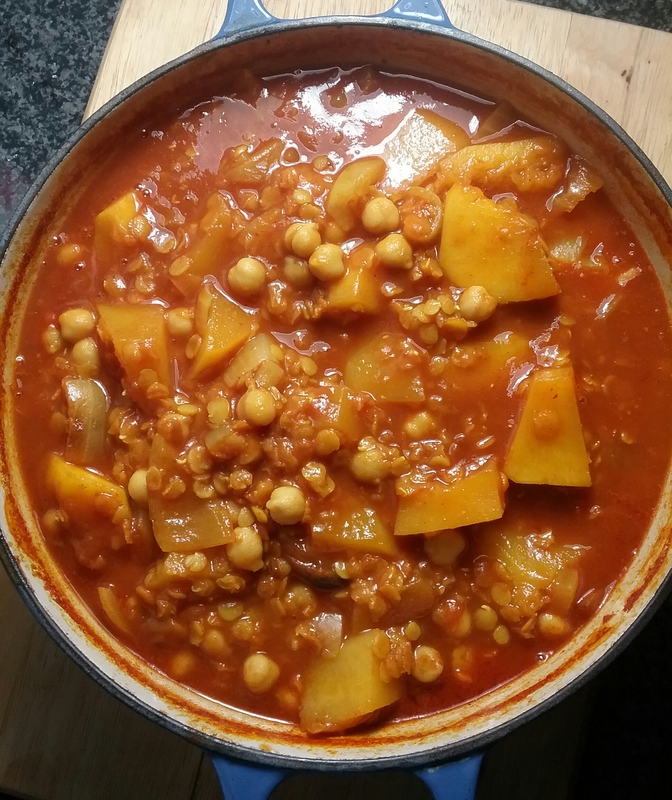 Chick pea and lentil stew | Jo's food bites. This is a really quick dish to make and is delicious on its own or with crusty bread and a salad or baked potato. Fry the onions until soft. Add the spices and heat for another minute. Add all the other ingredients and simmer until the lentils are soft.